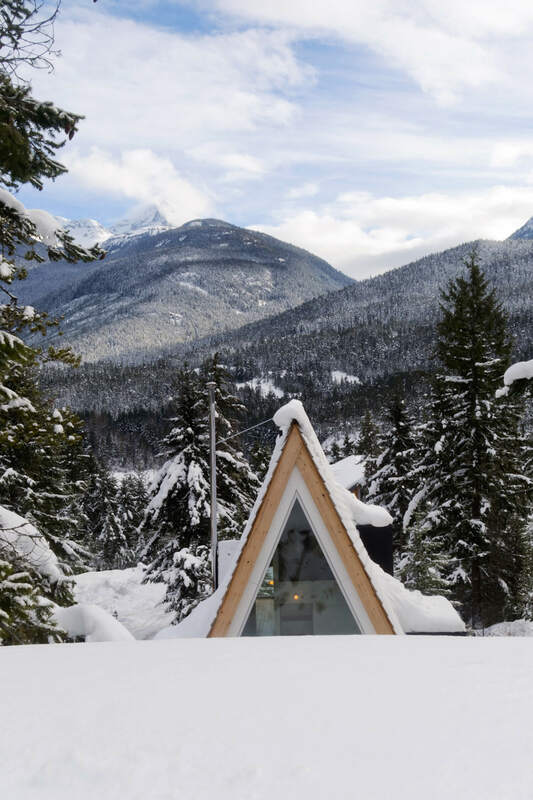 Perhaps it’s the holiday carols pronouncing it’s a white Christmas, but as temperatures begin to warm up here in Australia we find ourselves craving a winter retreat away. 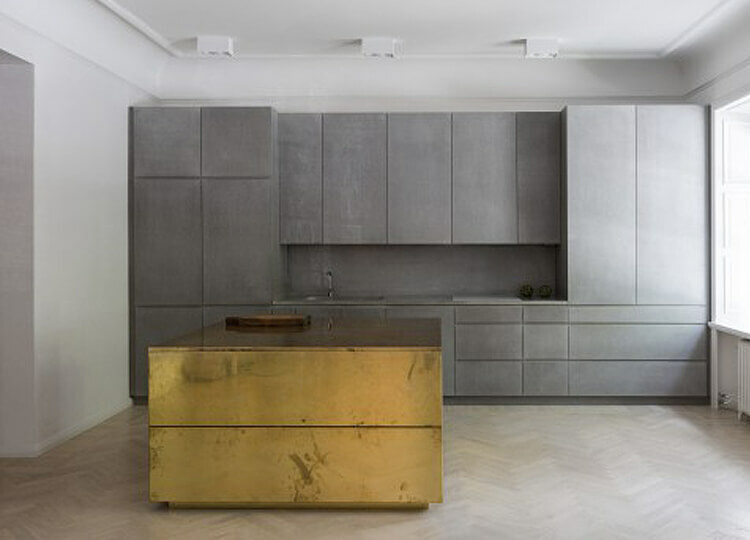 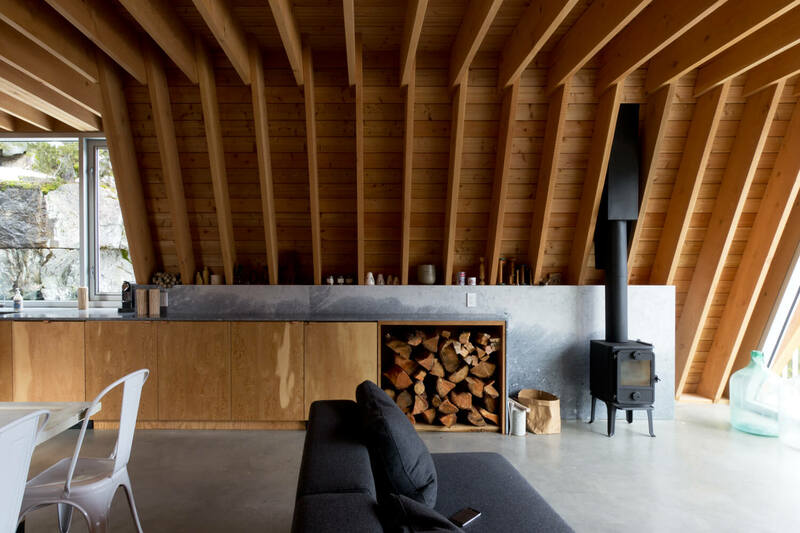 The idea of packing up for a remote weekend in weather that insists that all you can do is to stay cosy indoors with a good book and glass of wine is just the remedy for the end of year madness… but until then we’ll just have to live vicariously through design. 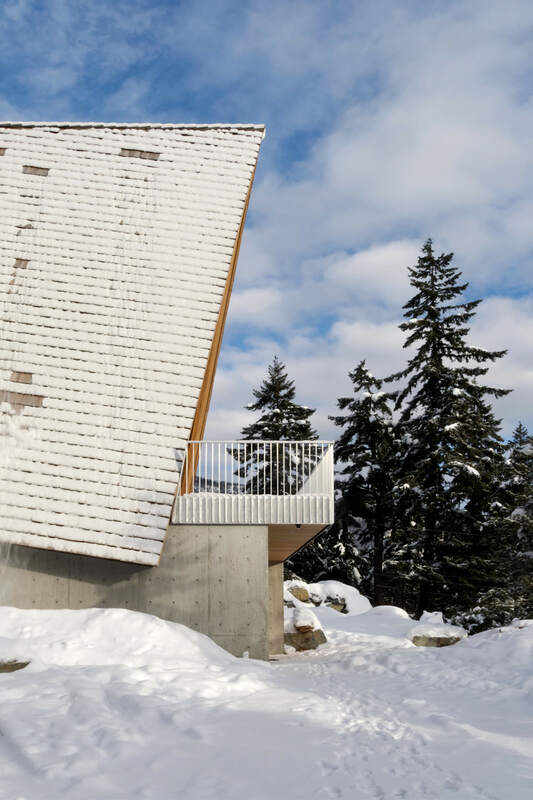 Canadian architects Scott & Scott have produced a dose of escapism through design with this striking cabin in Whistler. 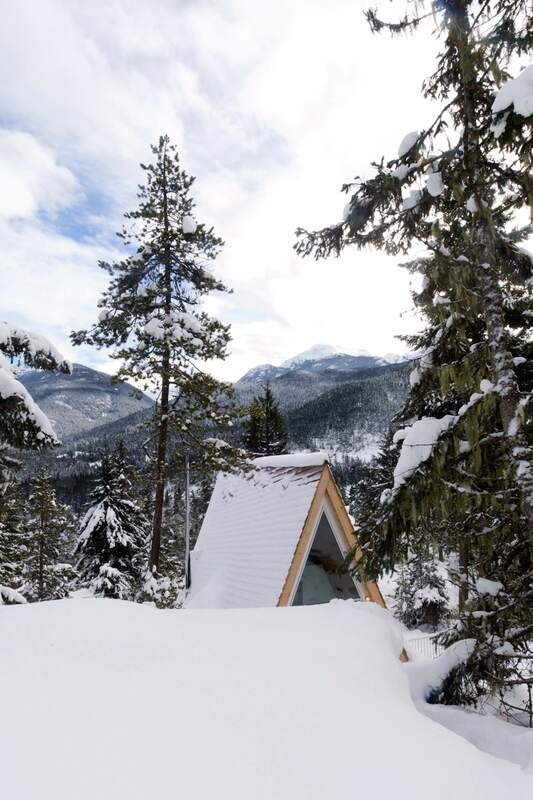 Built for a weekend base for a family of snowboarders, the cabin sits on a steep sloping bedrock bluff, north of the central Whistler village. 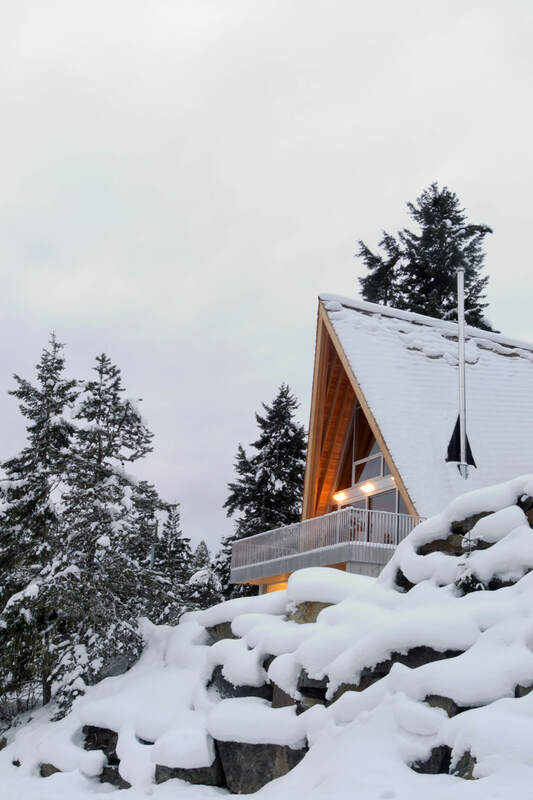 The unique cliffside location lends the home a dramatic backdrop, taking in all the beauty of the mountains and valley over Green Lake. 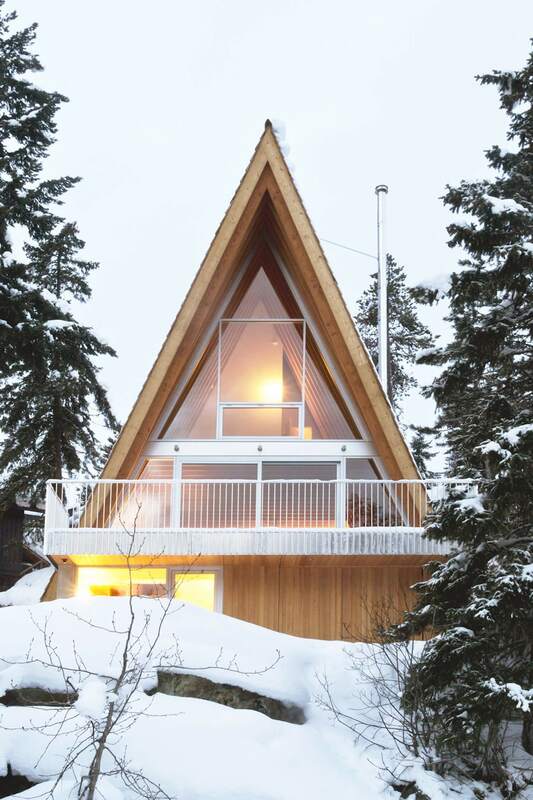 Drawing from the signature Canadian A-frame designs of the 1970s, the 178 square metre cabin is closer in scale to earlier homes in the area. 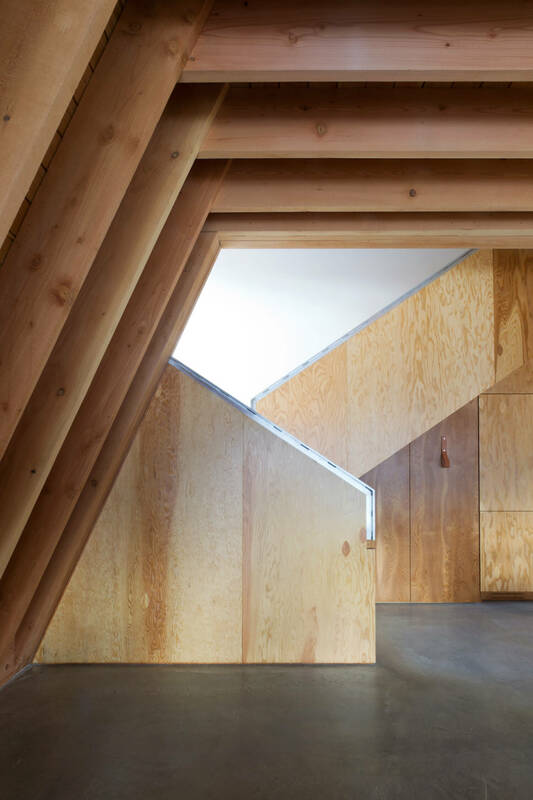 The structure consists of an internally exposed frame made from locally-sourced Douglas Fir rough sawn lumber. 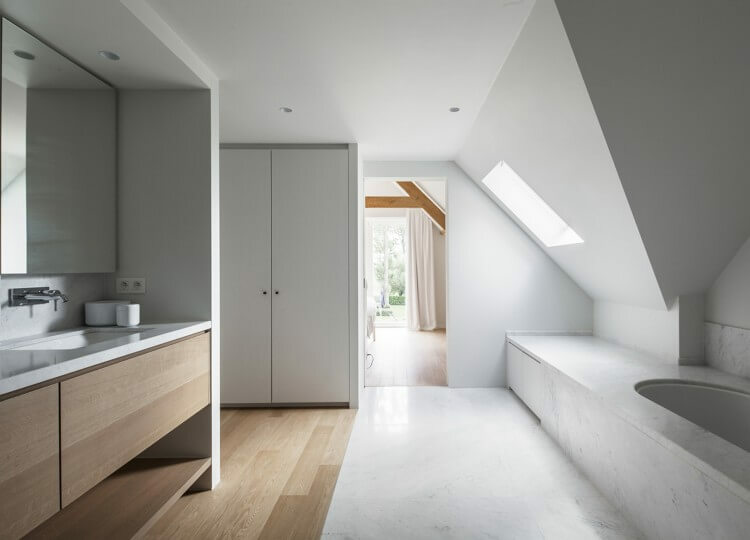 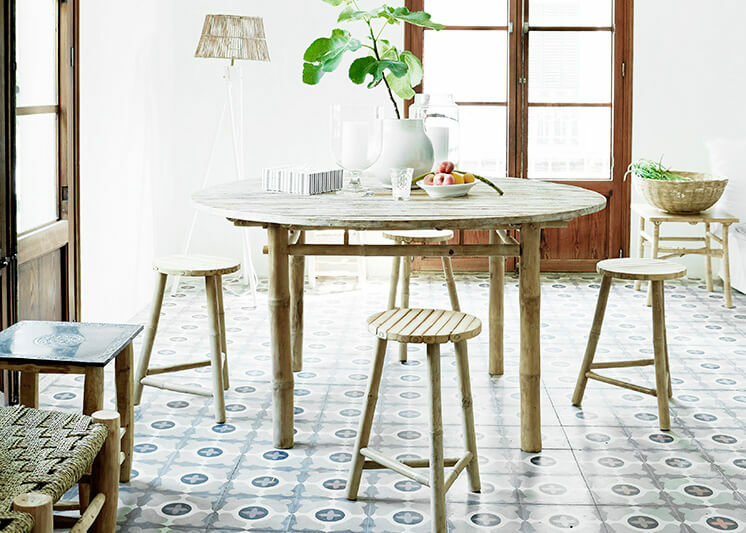 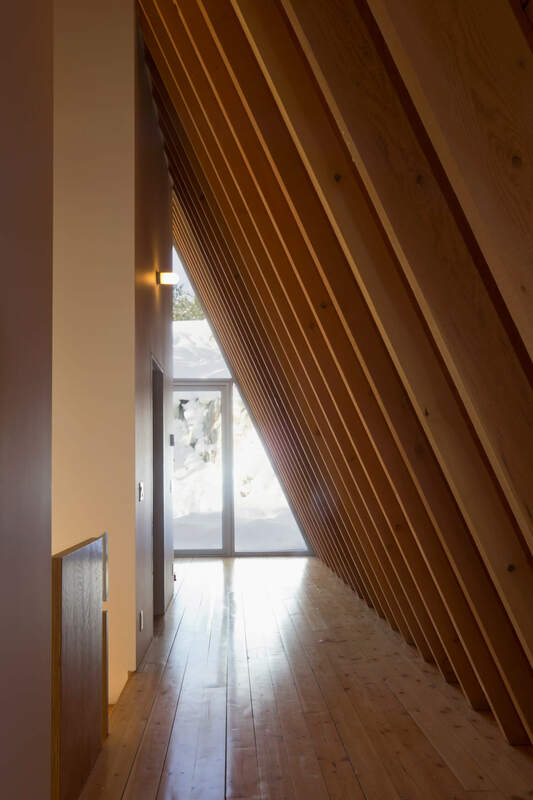 The timber joinery was designed and engineered to utilise a simple repeat lapped joint at the floor and roof connections. 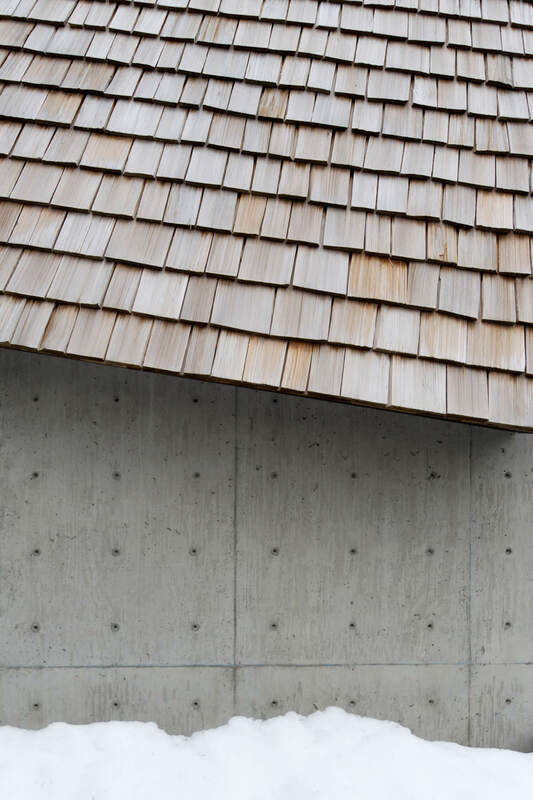 The heritage style doesn’t end in the design, with all materials locally harvested and quarried. 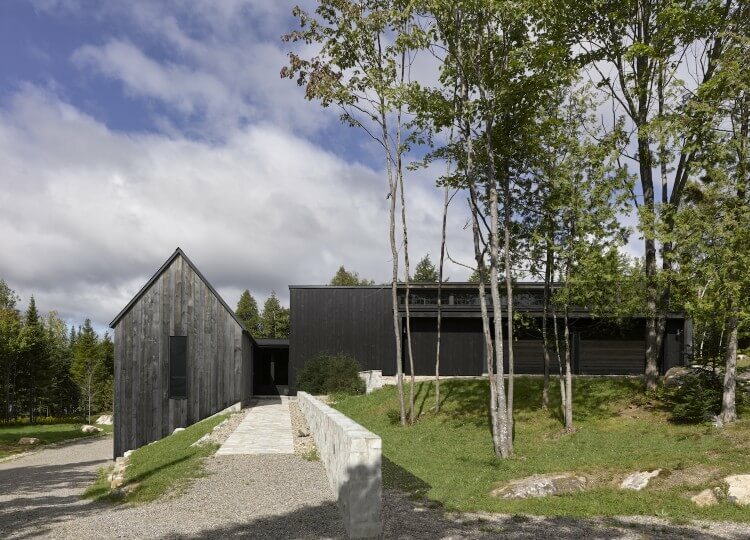 The home’s exterior is clad in red cedar that has been selected to weather to the same tone of the surrounding rock, while the interior cabinetry was built on site by the carpenters with construction grade rotary-cut plywood. 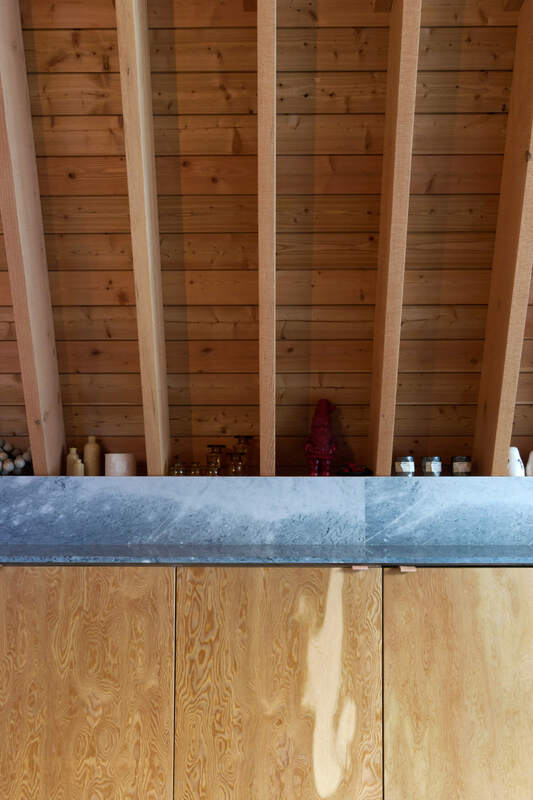 The bench top counters have been fabricated from marble sourced in the Hisnet Inlet quarry on Vancouver Island. 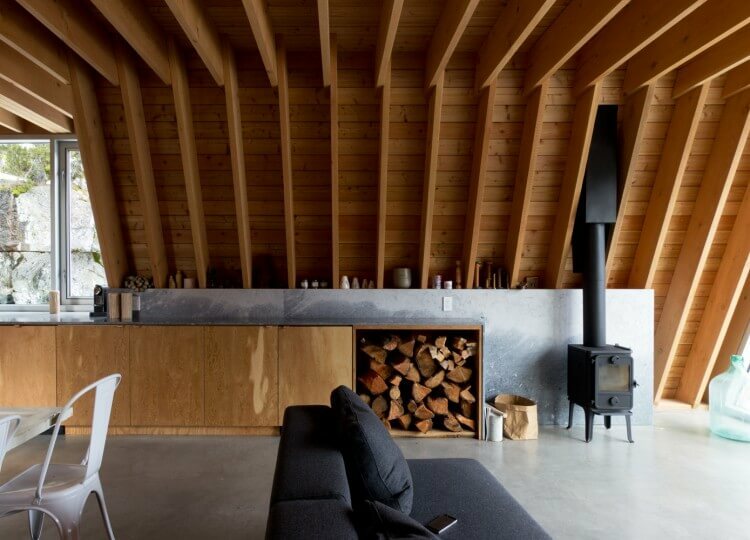 The layout of the home ensures all practical inclusions for alpine living have been considered. 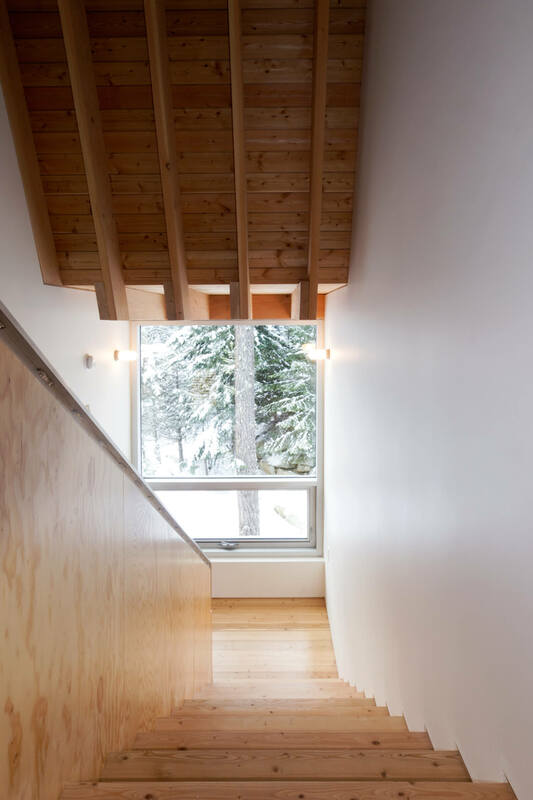 Entering on the ground level, a gear drying room, seasonal equipment storage, bathroom and laundry are within easy reach. 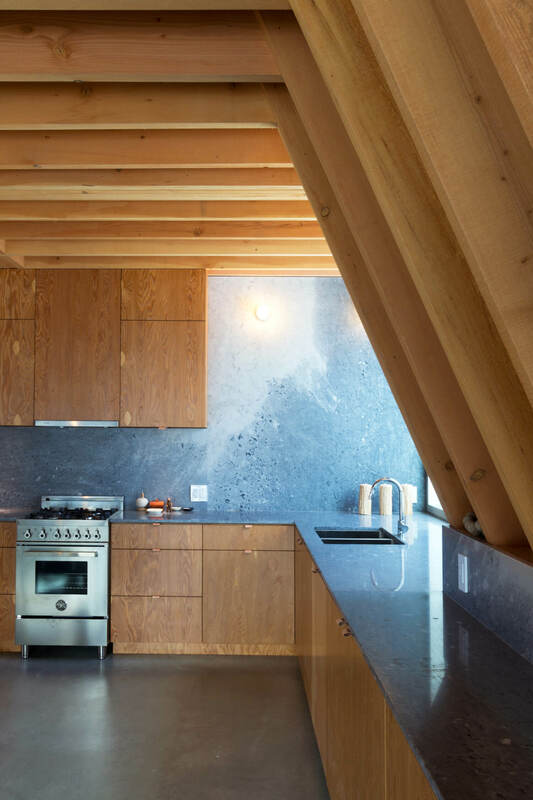 The second floor hosts the central living and kitchen space, backed into the hill and facing those sprawling views, and the bedrooms, bunk rooms and guest room or den make up the cosy top floor. 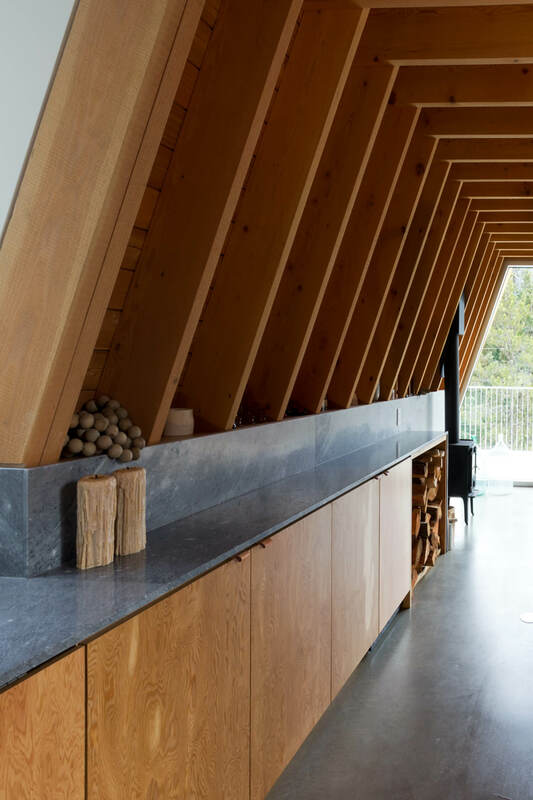 While the A-frame layout could be seen as a relic of the past, Scott & Scott have used it as a foundation for modern living and heritage materials, creating a space that feels genuinely centred in its surrounds.